When Nancy Wilson was born, 81 years ago, Franklin D. Roosevelt was President, Nazi Germany had not attacked Poland yet, racial segregation was considered “normal” by white America and Martin Luther King was an 8-year-old child. Her father was a worker, her mother a maid. Early on, Nancy’s interest in music and in singing developed, since her father purchased records by Billy Eckstine, Nat King Close or Lionel Hampton whenever he could. The family would listen to them intensively. 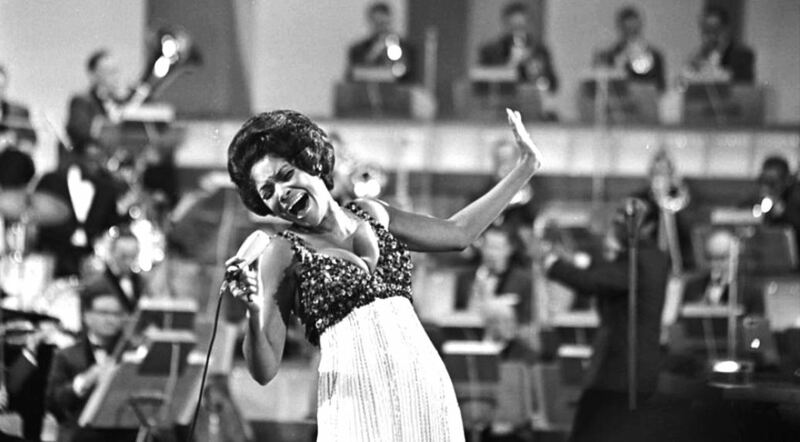 Once Nancy Wilson started singing in choirs, people around her noticed her big talent. She was only 15 when she won a talent contest. Soon, she would host a TV show. At some point she wanted to become a teacher and went to college, but then she would ultimately decide to pursue the career she had been born for, meaning singing. Julian “Cannonball” Adderley was the one who asked her to consider moving to New York City because that would be good for her career. He was right. His manager John Levy became hers too. The rest is history. In 1960, Nancy Wilson signed a deal with Capitol Records. Her first single was entitled “Guess Who I Saw Today”. Now people would accurately call her “the girl with the honey-coated voice”. She was very successful, many of her songs hit the “Hot 100”. Towards the end of the 1960-s, she had her own TV show called “The Nancy Wilson Show”. Now she was not just a stunning vocalist, but also an entertainer who even received an Emmy. Soon enough, she would also collect Grammy Awards. She got 20 nominations and 3 actual Grammys. It might sound exaggerated, but Nancy Wilson has actually recorded 65 albums. The first one, “Like in Love” was released in 1959. The last one, “Turned to Blue”, came out in 2006. This one got her one of her Grammy Awards, as “Best Jazz Vocal Album”. The great singer cooperated with absolutely every one. She sang Jazz, Soul and even Funk tunes. In 1984, she did “The Two Of Us” with Ramsey Lewis. In this case, the two Jazz artists delivered mostly Pop ballads. Her interpretation of “Heaven Bound” from the 1985 album “Keep You Satisfied” is excellent. All of her work is. There are hundreds of songs she sang with her unique, deep, silky voice. The older she got, the more she returned to vocal Jazz tunes. Nancy Wilson died on Thursday in Pioneertown, California.